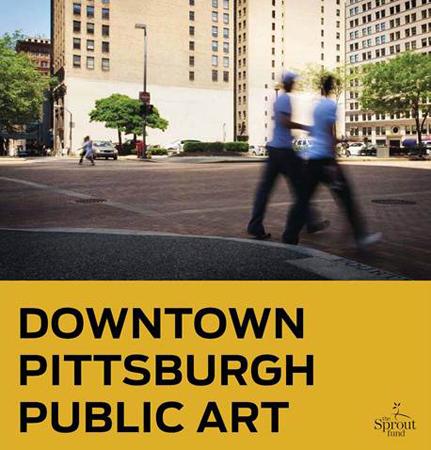 The Sprout Fund seeks to commission an artist or artist team to create a signature work of permanent public art on a façade of a building in a prominent Downtown Pittsburgh location. Artists must be current or former Pittsburgh area residents or able to demonstrate a relationship with the city. Work in a variety of media and forms will be considered. 3–5 artists or artist-led teams will be invited to submit design proposals. The Sprout Fund enriches the Pittsburgh region’s vitality by engaging citizens, amplifying voices, supporting creativity and innovation, and cultivating connected communities. Founded in 2001, Sprout facilitates community-led solutions to regional challenges and supports efforts to create a thriving, progressive, and culturally diverse region. With strong working relationships to many community organizations and regional stakeholders, The Sprout Fund is one of Southwestern Pennsylvania’s leading agencies on issues related to civic engagement, talent attraction and retention, public art, and catalytic small-scale funding. Sprout Public Art enhances the visual landscape of neighborhoods and communities by creating high-quality public art in a collaborative community process with local artists. Since 2003, Sprout Public Art has collaborated with artists to develop 56 enduring works of public art that enhance the urban landscape and consider the people of the community, their history and their vision for the future.